Our fondness for dogs has resulted in many shelves of toy stores being filled with plush dogs, plastic dogs, mechanical dogs and electronically controlled dogs that bark, sing or flash lights. 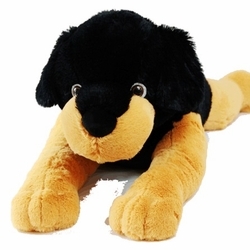 One of the latest entries is the Giant Puppy Pillow Buddy! Extremely popular, especially for girls and children, oversized pillow buddies are the perfect cuddle with, sniggle with sleep buddies, They are also perfect top bring along on trips and camping events!